Fresh from the Oriental Derby between FC Ifeanyi Ubah and Enyimba on Match Day 29, another derby in the West between Remo Stars and Shooting Stars highlights Wednesday’s Match 30 fixtures in the Nigeria Professional Football League. After scoring twice on the road at Lobi Stars, Remo Stars’ gaffer, Fatai Osho, is confident his lads have found solution to their scoring problems. Skipper and top scorer, Victor Mbaoma as well as Oche Salefu, will make it a difficult visit for the Ibadan side. On the other hand, experienced Fatai Amoo, will ensure his side avoid mistakes of the past when both sides met in Ibadan during the reverse fixture. What looked like a second goal for Remo was disallowed and both sides ended the encounter in a 1-1 draw. 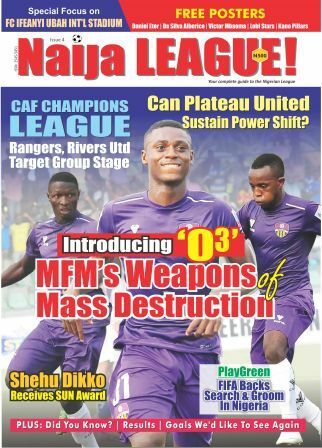 Truth be told, this will be a battle of youngsters as Amoo will unleash Sunday Faleye and goalkeeper, Adamu Abubakar. Jos will also attract attention as leaders, Plateau United; seek to extend their lead with a home match against FC Ifeanyi Ubah. Defeated at Niger Tornadoes, no thanks to a contentious penalty, United know the importance of the three points. Kennedy Boboye’s side won’t underestimate FC Ifeanyi Ubah considering their quality. Expect a tough encounter on the Plateau.